Matt Swift is the Program Coordinator for OSU’s Film Studies Program. His background includes a Bachelor’s of Arts in both Film Studies and Art History with a Minor focus in Fine Arts from the Ohio State University and a Master’s in Library and Information Science with a focus in digital collections preservation and access from Kent State University. In 2007 Matt was inducted into the International Library & Information Studies Honor Society (BETA PHI MU). Over the past six years he has been performing freelance work locally in the form of providing audio/visual digitization consultation and creating video, photo, graphic arts, and paintings for the purpose of art exhibition as well as for local professional organizations. In December of 2009 the Film Studies Program acquired the Journal of Short Film (JSF), a quarterly DVD publication that highlights short films from all over the world through a submission and editorial process. Currently Matt Swift serves as the Productions Lead and Graphic Designer for the JSF and oversees its daily operation and supervises student interns associated with the journals publication. 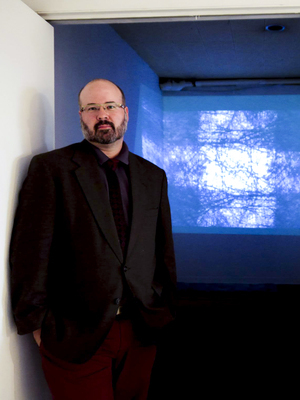 Matt is also a cofounder of The Columbus Moving Image Art Review (CMIAR), a quarterly screening event highlighting Central Ohio moving image artists. For more information about Matt, read his blog or visit his Mubi website, to view, review and discuss new cinema.